The Citroen Berlingo is a van-derived people-carrier that offers families masses of space and a huge boot for a relatively modest price. It competes with cars like the very similar Peugeot Rifter, Fiat Doblo and the Volkswagen Caddy Life, as well as more conventional MPVs. The Citroen Berlingo provides a gargantuan amount of space for a very affordable price, so if those two things sit at the top of your wishlist, it’s hard to beat. It’s reasonably comfortable and quiet to drive, too, and it’s packed with some really clever storage solutions. The looks won’t be to everyone’s taste, and neither will the rather cheap-feeling interior, but otherwise, it’s an excellent family car. The bigger XL version is similarly good, and the roomiest seven-seater on sale today. Good engine and has some desirable extra kit over the feel. This version squeezes out a few valuable MPG over what you get from the other diesels.  Interested in buying a Citroen Berlingo? 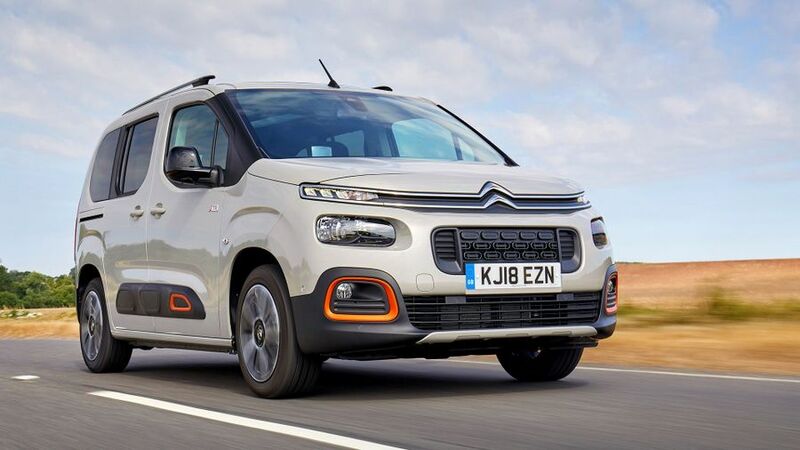 Van-derived people carriers are rarely the last word in stylish design, but while the Berlingo’s commercial vehicle roots are very much in evidence, what with the high-sided body and upright stance, Citroen has managed to inject a bit of Gallic chic into proceedings. Like on other Citroen models, the company chevrons on the front of the car meld into the front grille design and continue into the running lights, while the six separate light units on the front end also give an unconventional and interesting look. So do the standard ‘Airbumps’, which are air-filled pockets of heavy-duty rubber that run down the sides of the car. The entry-level car, the Feel, makes do with steel wheels, while the Flair upgrades them to alloys and adds gloss black roof rails. Two sizes of Berlingo are available, depending on whether you have the regular five seat M version or the XL, which seats seven. Again, the Berlingo’s commercial vehicle roots are in evidence inside the cabin, because the materials on show look to have been chosen for their durability rather than their tactility. All the surfaces are hard and a little scratchy on the fingertips, meaning other more conventional MPVs feel a good bit posher inside. Where the Berlingo’s van-like traits do come into their own, though, is on cabin storage: everywhere you look there’s another cubby hole, lidded bin, cup holder, shelf or pocket, so you’ll never be short of somewhere to stow your odds and ends. We did find, however, that the dashboard cupholders only work for smaller containers, and there’s a big blank area between the front seats that we reckon could easily take another couple of storage solutions. You also get a van-like driving position which is elevated and upright, giving you a clear view of the road ahead, and the massive windows also mean that your view is almost as good behind you. What isn’t quite so good, though, is the touch-screen infotainment system. Its layout and menus aren’t awfully logical, and the reactions and screen transitions are rather slow, so it can be a pain to use. The Berlingo comes in two sizes, the M and the XL, the latter of which is longer and comes with seven seats instead of five. Whichever version you choose, cars don’t come a whole lot more practical than this.There’s absolutely tons of headroom, legroom and shoulder room for rear-seat passengers, and every person gets a seat that has the same width and side support (in other words, whoever’s in the middle doesn’t get lumbered with a seat that’s hard, raised and narrow like they do in most cars). In the Feel version, the rear bench is split 66/33, while in the Flair, you get three individual seats, which makes it even more versatile. The flat floor means that everyone gets plenty of room for their feet, too, and parents will want to know that this is one of the few cars where you can fit three child seats (so long as they’re not too bulky) across the middle row. However, the kids might not be so impressed that the rear windows of the Feel model only pop out, and you have to upgrade to the Flair for ones that open properly. The boot is similarly huge, with a whopping 775 litres of space underneath the parcel shelf, a figure that rises to 1355 litres if you load up to the ceiling and a gargantuan 3500 litres if you fold the rear seats down. Doing that is very easy, and although it leaves you with a step in the load area, the seats do go more or less flat. That parcel shelf is also solid, and can be installed at various heights in the boot to act as a genuine shelf. Genius. In addition, the front passenger seat folds flat if you need even more space. The XL is bigger and gives third-row passengers just as much legroom as those in row two. For those who really need a seven-seater, you won’t find many with more room than this. The third row of seats can be removed if you need extra boot space, which adds some flexibility. It’s worth noting that with the third row of seats installed, boot space is minimal, so be aware if you need to haul lots of stuff as well as people. Again, you probably won’t be expecting great things in this area from a van-derived people carrier, but the Berlingo does everything it needs to do reasonably well. The soft suspension soaks up lumps and bumps pretty effectively, and although you can occasionally feel a slight patter through the body on coarse surfaces, it’s nothing that’ll ruin your comfort. Yes, that soft suspension – combined with the car’s high-sided dimensions – means there’s lots of body lean when tackling a bend, while the slow steering also make direction changes feel a little more laboured than they could, but the Berlingo still feels stable enough if you keep your cornering speeds sensible. What the car is really good at, though, is isolating exterior noises. Road noise is particularly well suppressed, and there isn’t too much in the way of wind noise, either, especially given the car’s upright design. The Berlingo comes with a choice of two turbocharged 1.2-litre petrol engines, one with 110 horsepower and a six-speed manual gearbox, the other with 130 horsepower and an eight-speed automatic gearbox, but we haven’t yet had the chance to try either of them. Diesel choices are all 1.5s with either 75, 100 or 130 horsepower (the most powerful can be had with a manual or an auto, while the other two are manual only). The 100-horsepower version is smooth and quiet most of the time, which adds to the impressive level of mechanical refinement mentioned in the last section, and if you’re prepared to be merciless with the revs, it’s capable of half-decent acceleration, too. However, if you let the revs fall any lower than 3500rpm (which is a lot), the engine isn’t nearly as punchy, and you can often be left waiting a disproportionately long time for the engine to respond to a prod of the accelerator. The 130-horsepower version is capable at lower speeds and pulls reasonably well, but its automatic gearbox highlights how it runs out of puff when working harder. Try and go up a steep hill and it’ll frantically jump between gears as it tries to find a suitable ratio. The Berlingo is very aggressively priced for a car of this size, so if you’re looking to maximise the amount of space you get for your money, it looks like a really good bet. It doesn’t do too badly on resale values, either, which has a big effect on keeping down your overall costs throughout your ownership period. Fuel and emissions figures are also among the better ones in the class, so you win there, too. Overall, then, the Berlingo makes a cost-effective family car. Previous versions of the Berlingo have done pretty well here according to Warranty Direct’s Reliability Index and, you’ll find very few negative comments about the car’s reliability in our owner reviews. However, JD Power's Vehicle Dependability Study, which focuses on newer models across the different manufacturers, paints a much less rosy picture. The 2017 and 2018 studies placed Citroen near the bottom with a score well below the industry average, which is concerning. Should anything go wrong, Citroen offers a three-year/60,000-mile warranty, which is fairly standard. Six airbags are provided as standard in the Berlingo, along with mandatory stuff like electronic stability control, tyre pressure monitoring and clever brakes. What’s more, those brakes are clever enough to apply themselves if the car senses an impending accident and you don’t respond to a warning. Active lane keeping assist is also standard, as is traffic sign recognition. The options list includes adaptive cruise control and an automatic high beam function for the headlights, but you can only add that stuff if you go for the Flair range-topper. The car scored a slightly disappointing four out of five stars when crash tested by safety organisation Euro NCAP. The two trim levels available are Feel and Flair. The Feel comes with a decent slice of kit, including air-conditioning, cruise control, electric front windows, automatic lights, a leather steering wheel and the touch-screen infotainment system that includes Bluetooth, DAB radio and Apple CarPlay/Android Auto. The system in the Flair is upgraded to support integrated sat-nav, and it also adds electric rear windows, the cleverer seats and rear parking sensors. We reckon the parking sensors are worth the upgrade alone, as you’ll definitely want them when manoeuvring a car of this size. Because you and your family need as much space and versatility as you can get – both for people and for luggage – for an affordable price. The five-seat Berlingo M does exactly that, making it an incredibly practical car, and while the seven-seat version sacrifices boot space with all the chairs in place, it’s the roomiest choice for extra passengers.